However, the developer, PlazaCorp, is proposing to build a structure that is twice the size than what is supported by the City of Toronto planning standards. If approved, this building would change the view west along Bloor Street forever, eliminating late-afternoon sunshine on Bloor Street during much of the year, shrouding local homes in shadow, and adding much more density than can be accommodated by local streets and existing public transit, resulting in even more congestion at the west end of the Village. PlazaCorp is proposing to build a 53.86 metres (177 feet) 14-story building. With both the first & top floors double height, this will effectively be a 16-storey building!…… one that will tower 4 storeys above the adjacent 12 storey Old Mill condo building to the west & 11 storeys above the 5 storey Arbour building to the east. City Planning along Toronto’s avenues, including Bloor Street, is guided by the Mid-Rise Performance Standards which have been adopted by City Council to help ensure the City re-develops in an orderly, sustainable and healthy way. 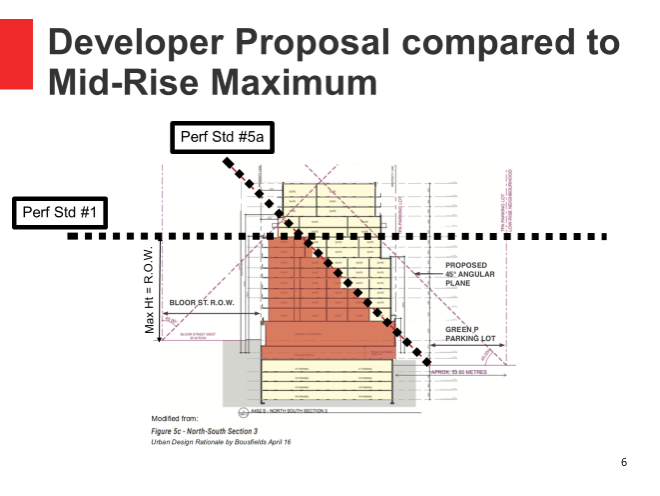 In its recent Report to Council, Planning Staff has opposed this proposal, noting that its scale and massing do not comply with these standards in a number of important respects. Too much intensification of new residents at west end of Village leading to more traffic congestion and over-loaded public transit. Despite considerable thoughtful feedback after two sessions with the Design Review Panel and the Community, PlazaCorp has appealed its proposal to the Ontario Municipal Board. The first Pre-Hearing was held on September 28th and a second Pre-Hearing, that’s expected to lead into Mediation, is scheduled for February 7th, 2018. Your support now will go a long way towards helping us to negotiate a better outcome & help shape a development that will enhance our neighbourhood. Become a member of the BWVRA at: http://www.bwvra.ca/join-the-bwvra-2 With more members, we can be assured we are truly speaking for the community, and demonstrate that we speak for all residents. 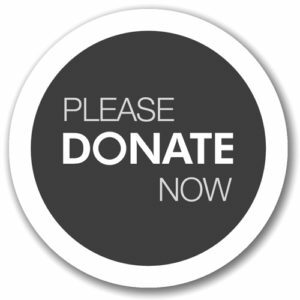 We need your financial support! The OMB can, and frequently does, overrule the City and approve developments that can negatively affect a neighbourhood. In addition, the City, at its discretion, could agree on a compromise with the developer that may not be satisfactory to the community. Therefore, if the community’s interests are not effectively represented at the OMB, unfavourable outcomes will often occur, but good representation is expensive. Independent legal, planning and other professionals need to be engaged.